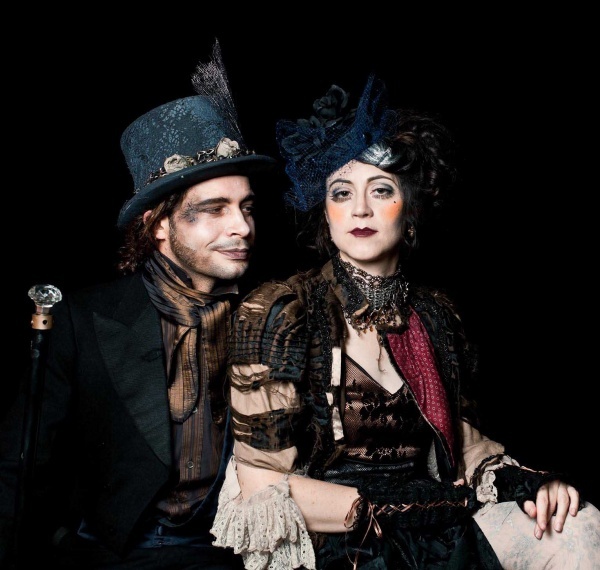 Marvel at the wondrous Avant-garde Prangsta performers. 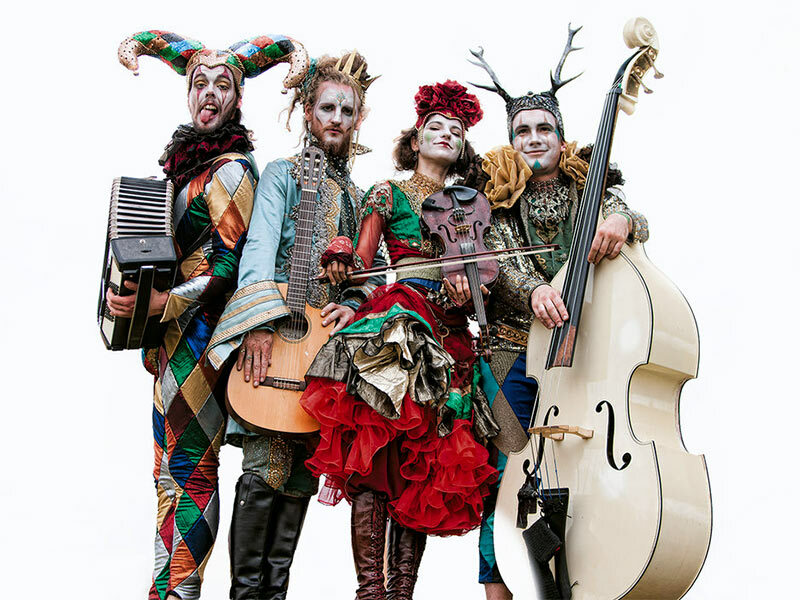 Unrivalled in their performance and unsurpassed in their vintage and couture costumes this entertainment is enchanting. 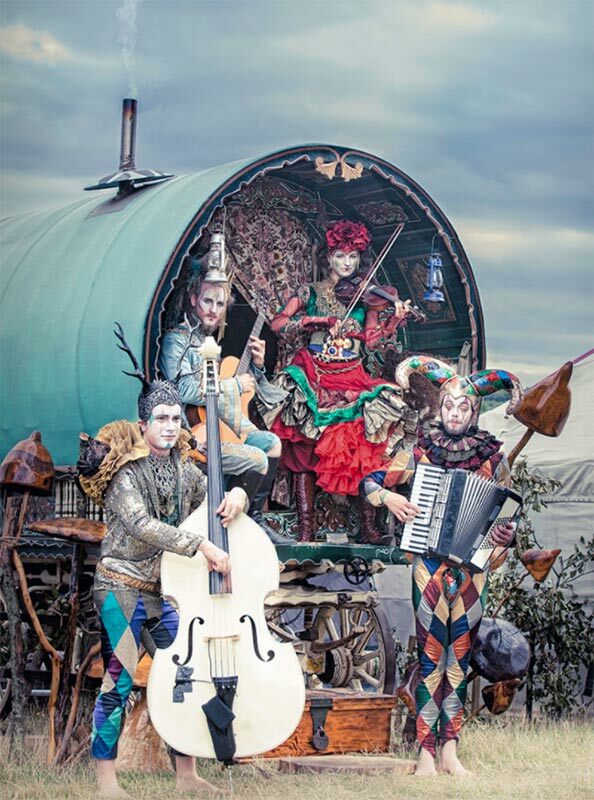 Trust Prangsta to deliver you the festival, gala, show, wedding, event of your wildest dreams! 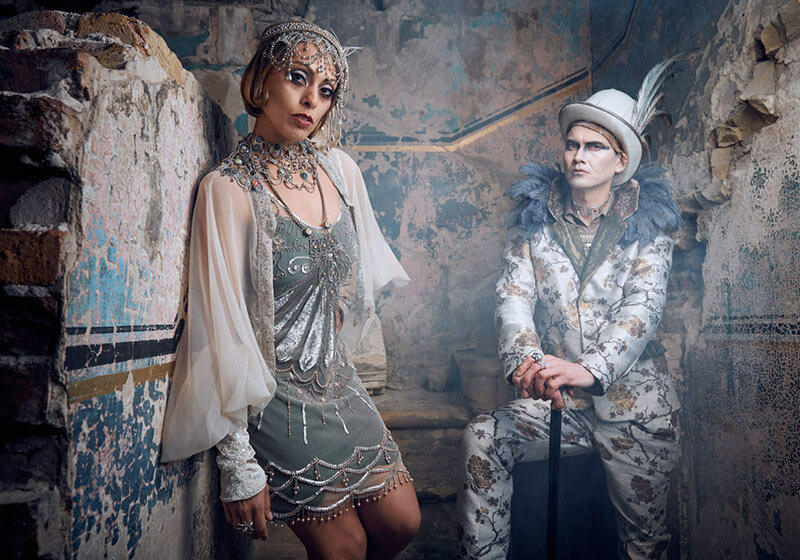 Prangsta can collaborate with you and design a theatrical avant-garde fashion show based upon the theme of your event; where gorgeous models drip with glamour and eccentric performers frolic with intricate story lines and music. Prangsta have a variety of Avant-garde walkabout performers available like Burlesque Charlie Bouquett, Miss Allotta Bounce, cross-dresser Miss Apple Tart, DJ Bang Crosby, Showgirl Betty Machete, Showgirl Hostess Betty Machete, Mime-artist Dorothy Cotton, Dancers My Bad Sister, Comedian Penny Bizarre. They will cater to all of your specifications in order to make your event more spectacular than you ever imagined. 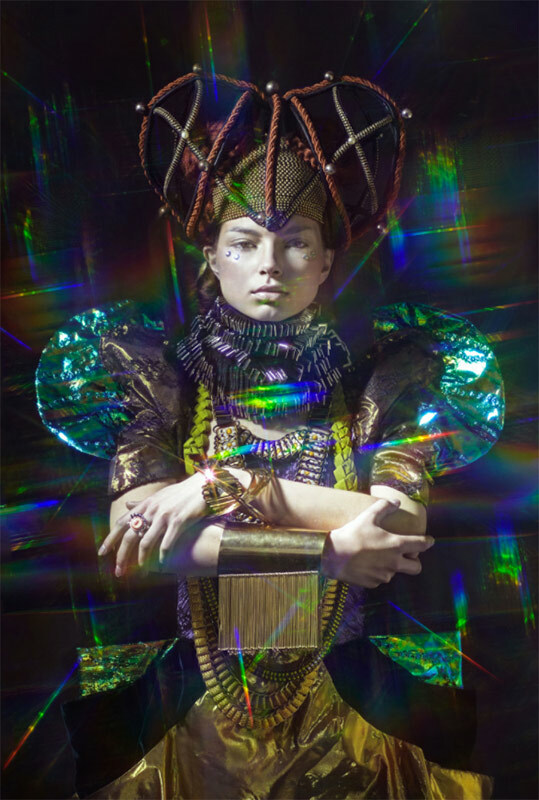 Prangsta can also dress any of Contraband’s performers in their beautifully designed costumes. 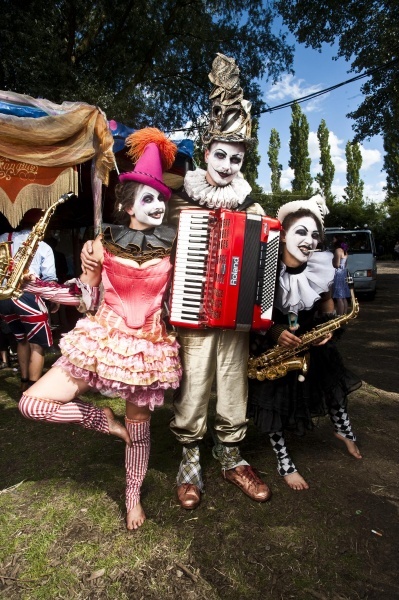 Please note that Prangsta have many performers and costumes, below are just some of them. 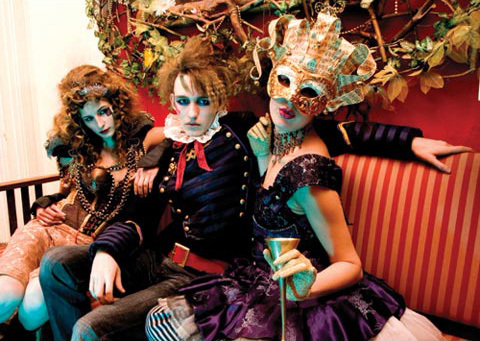 They can also make bespoke costumes for any character or theme. As her name suggests, Miss Allota Bounce likes to bounce, and she likes to bounce a lot. Delving into the darker side of fantasy, and the grotesque, Allotas humble mission is to make you realise that you quite like it too. Allotta is also part of The Late Night Shop. Miss Apple Tart is a cross dressing performer with a selection of ridiculous, rampantly, deviant, slightly lonesome/poesom/cravesome dances, rather fanatically, radiantly, humorous, laced with moustaches under her belt next to her banana. Miss Apple Tart is also part of The Late Night Shop. Bang Crosby is a DJ with an assortment of underground electronic music but also performs a walkabout act as an artist/poet. This stunning showgirl is available as a walkabout hostess and hula-hoop artist. 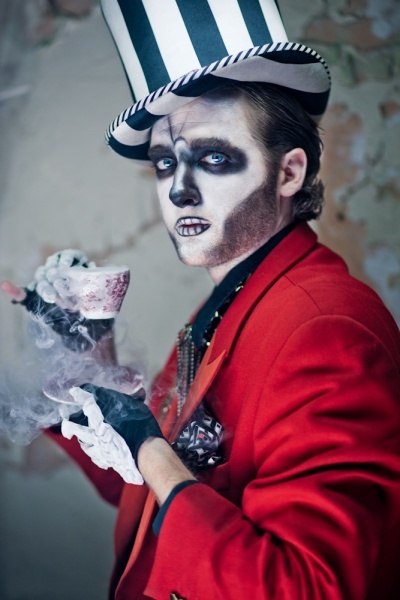 Dott Cotton is a mime-artist and traditional street performer. She can really entertain a crowd! Available as part of The Late Night Shop Cabaret, for walkabout, hostess, static performance and stage shows. 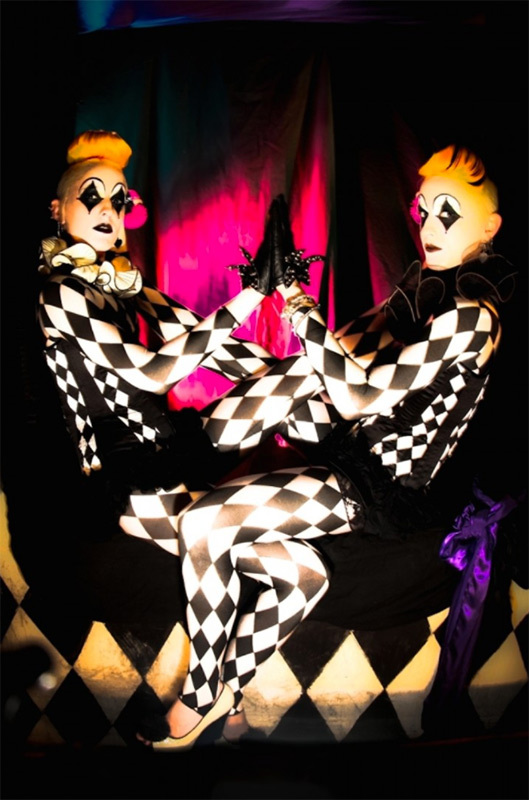 These gorgeous and raucous identical twins are trained as professional actresses, singers and dancers (they are backing dancers for Take That, Pet Shop Boys amongst others) and can host any event with perfect grace and finesse. 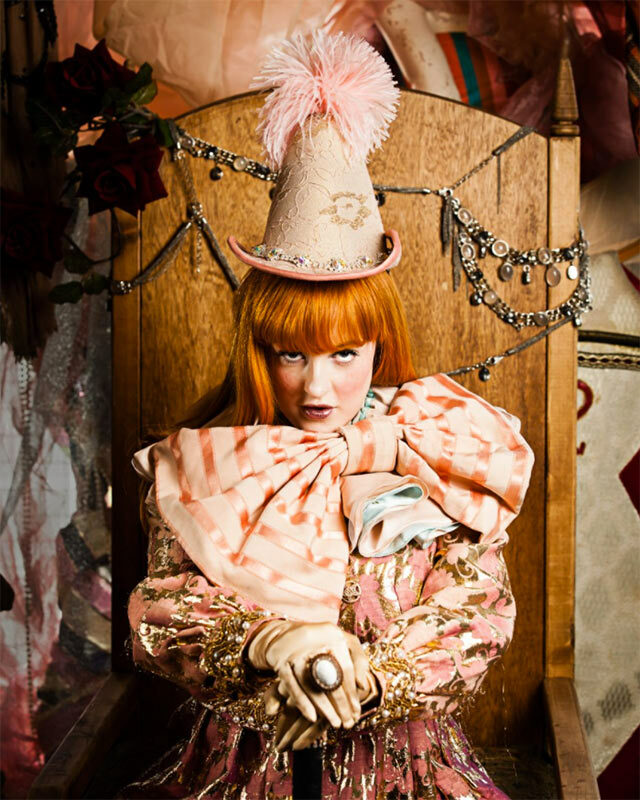 Penny Bizarre is available for clowning, comedy and general audience interaction. 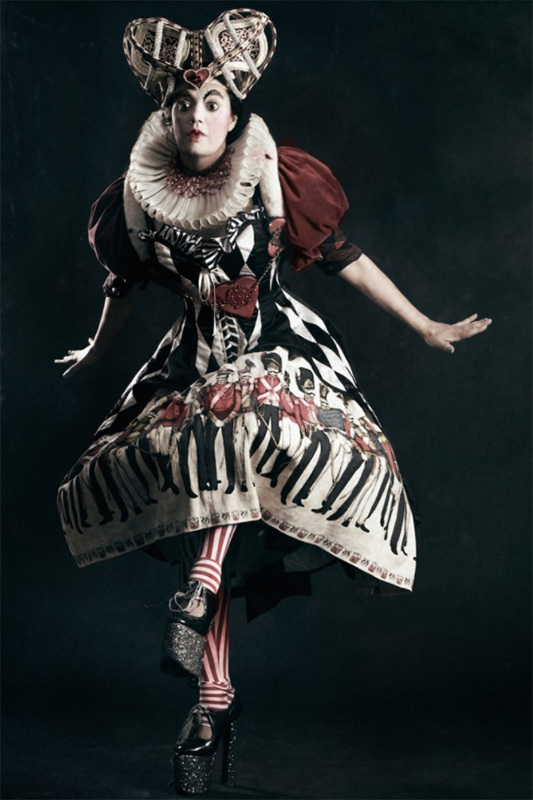 She is a unique performer who will leave your guests in wonderment! Charlie Buckitt is a burlesque bombshell, cabaret, fetish model and human puppet show, also available as a hostess and walkabout act, with The Late Night Shop. Allotta Bounce, Apple Tart, Charlie Buckitt and Dott Cotton form The Late Night Shop. 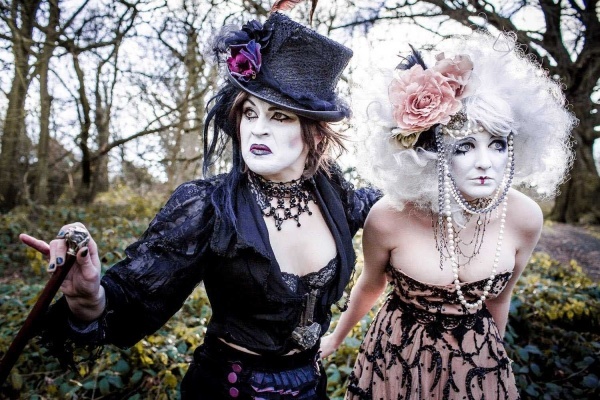 A London based art and cabaret collective providing variety entertainment, experimental performance and cultivated cabaret acts for venues and theatres across London and the UK. The standard length of walkabout is 3 x 45 minutes.